If you are looking for Specialist Charity Accountant in Chelsea, Fulham, Knightsbridge, Sloane Square, Kensington Parsons Green, Brompton or firm of accountants in South London, then your search is over! 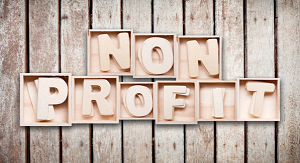 At KG Accountants we appreciate that not-for-profit organisations and charities have very different requirements from other businesses and are currently exposed to a challenging economic climate. Our dedicated team fully understands the complex, ever-changing regulatory requirements of the charity and not-for-profit sector.